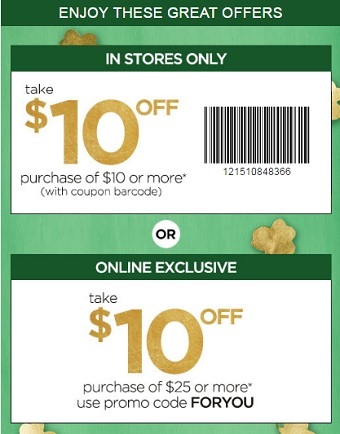 Take $10 off your in-store purchase of $10 or more. Use the coupon to receive the offer. Or, take $10 off your online purchase of $25 or more. Use the promotion code FORYOU at checkout. More details available at U.S. Motherhood Maternity store or Motherhood Maternity online.